Are you looking for smooth, durable concrete for your home or place of business? 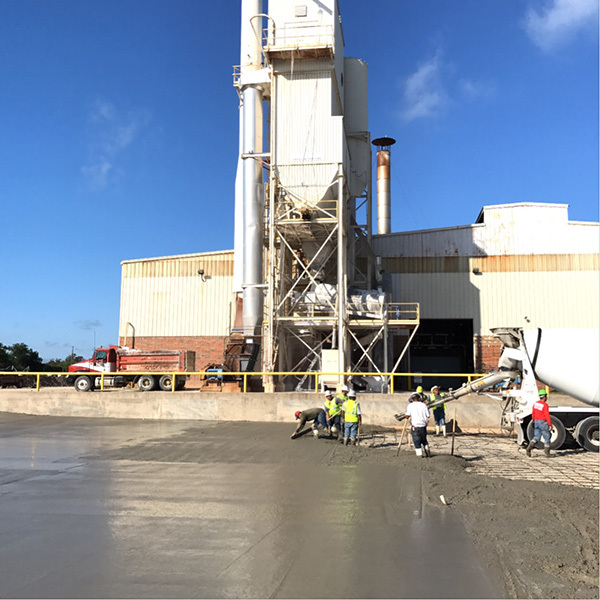 In the Fort Worth area, you can turn to the concrete contractors at Elite Asphalt LLC. Specializing in concrete flatwork, we’ll outfit your property with sidewalks, curb gutters, concrete patios, and more. Whatever your property improvement needs, we’ll make them happen seamlessly and efficiently. When it comes to concrete construction projects, you can count on us for superior craftsmanship and truly exceptional customer service. End your search for a concrete company today by calling Elite Asphalt LLC right away! Regardless of the type of concrete construction project you’re taking on, it’s important to ensure that your concrete is properly installed. For gorgeous, lasting results, you can count on the concrete contractors at Elite Asphalt LLC. We’ll work with you every step of the way to ensure your concrete project comes out exactly as planned. When you choose us as your concrete company, you’ll get first-rate results time and time again. Your driveway is essential not only for your property’s safety and functionality, but it’s also a prominent aspect of your property’s appearance. That’s why you need to hire a concrete driveway contractor with top-notch skills and experience. And, given our specialization and expertise in concrete driveway installation, you’ll want to make Elite Asphalt LLC your first phone call. Our concrete driveway contractors have more than 50 years of experience in the trade. We’re known for delivering superior results to local homes and commercial properties in the Fort Worth area, and you can rest assured you’ll get the very same treatment. Make your property warm and inviting with the practical addition of a concrete patio or concrete walkway. Whether you’re a homeowner or commercial property manager, you’ll love the look of a stamped concrete patio or walkway from Elite Asphalt LLC. If you’ve been dreaming of the perfect outdoor patio for entertaining or a functional concrete walkway for your office building, we’ll make your vision a reality. We’re standing by to make your property more attractive and functional, so give us a call to get started! No matter what kind of concrete construction project you’re interested in, Elite Asphalt LLC is the team to call. We’ll be happy to discuss your project requirements and offer you a free estimate for any of our concrete services, so there’s no reason to delay!